Here's my current 1700+. This chip is the 2nd one off the wafer! 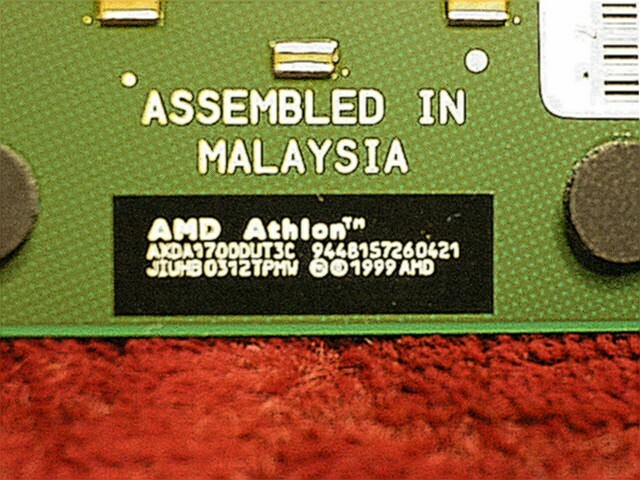 Here's a pic of my overclock, 100% stable (from hours and hours of Soldier of Fortune II). I think I could go higher but my RAM is holding me back. 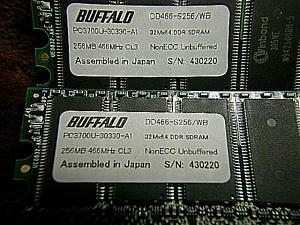 I have two sticks of Buffalo PC3200 Winbond chips that should be here today. I'm cooling this setup w/ an SLK-800A. And here's a pic of my new watercooling kit and 2 new CPU's (XP2400+ and XP2600+) that my g/f got me for graduation . Haven't had a chance to play with it yet but I will let you know how far I get. Very nice. BTW, what is 'boost +0' in MBM? 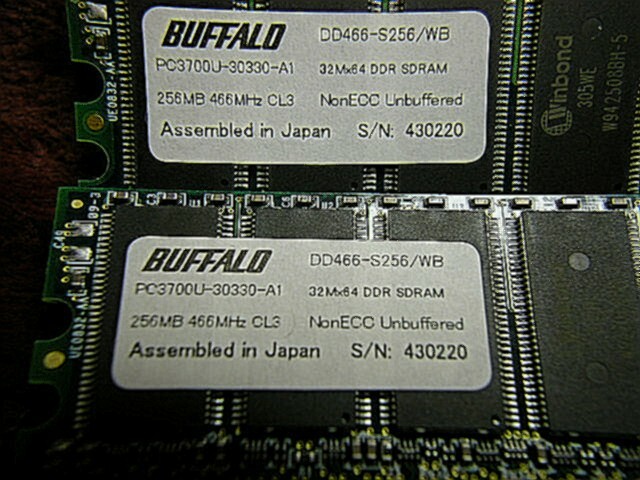 I have some Buffalo 3700 coming as well, looks like some skookum stuff, Winbond chips, yeah. 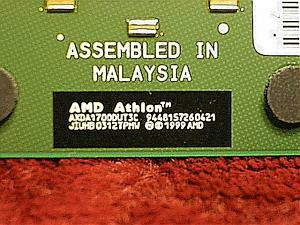 I also have one of those 1700 chips coming as well, looking forward to torturing it! "Boost+" is what I named CPU usage in motherboard monitor. I have a 300ZX Twinturbo and the more "BOOST" I have, the faster my Z will smoke them little Hondas. Thats a nice stepping CPU and a nice speed you got it running at. &quot;Boost+&quot; is what I named CPU usage in motherboard monitor. I have a 300ZX Twinturbo and the more &quot;BOOST&quot; I have, the faster my Z will smoke them little Hondas. FedEx just left my house and I got this. Winbond W942508BH-5. I will install them tonight and see how far I can go. Nice, thos BH-5 modules love real tight timings. Good luck! It will be interesting to see how far you can get with your new gear. What type of res is that ? It looks like an aquacool.de type one. Lots of new boxes getting put together! Chilly! if you have memory rated at 466 and cl3.....isnt that most likely to just be overclocked lower grade ram but with slacker timings? imo you cant beat twinmos w/winbond - 227 fsb, 4-2-2-2 and its the motherboard holding me back.